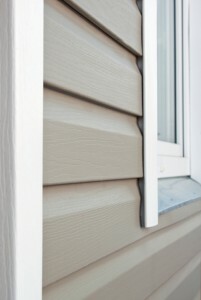 Is your home ready for vinyl siding? Vinyl siding first hit the market in the later 1950s or early 1960s. At a time where aluminum siding reigned supreme, many doubted this siding’s ability to protect a home. But today, vinyl siding is built to last. Let’s take a look at why you should consider choosing vinyl siding for your Middletown home! Unlike other siding options, your vinyl siding will be able to withstand all of the forces Mother Nature can throw at it. From the driving rain and howling wind to the constant sun and even heavy hail. Vinyl can also resist excessive moisture and won’t rot or corrode over time. Many vinyl options also come with a prorated warranty for up to 30 years and even for successive owners. No one has time to constantly worry about their siding. From taking your kids to their sports or dance classes to working full time, there just aren’t enough hours in the day. Well, if you like low maintenance options for around your home, vinyl siding is for you. This siding is resistant to pests like termites and blights like rot. You will also never need to paint your siding. Simply clean it once a year and check it every so often and you are golden! Unlike other siding options, vinyl siding is extremely versatile. This siding comes in a variety of colors, textures, and profiles to meet your home’s style. From Victorian-style scallops to cedar-style shakes, your home can have any look you want with the affordability and options of vinyl. While not all vinyl siding options come with insulation, there are some insulated options that can help cut down on your heating and cooling costs. Insulated vinyl siding helps to prevent heat loss between the wall studs in the exterior walls. While most homes come with insulation already in place, it never hurts to add a little extra insulation with your siding. Insulated siding can also make your home eligible for an energy tax credit. Vinyl siding is a great option for your home. It will protect it from the elements while keeping your home stylish and energy efficient. What’s not to like? For more information on installing your vinyl siding today, call Absolute Home Solutions! This entry was posted on Thursday, May 19th, 2016	at 6:47 pm	and is filed under Blog, Siding . You can follow any responses to this entry through the RSS 2.0 feed. You can leave a response, or trackback from your own site.